There’s some good news for book lovers in the Northeast Kingdom. 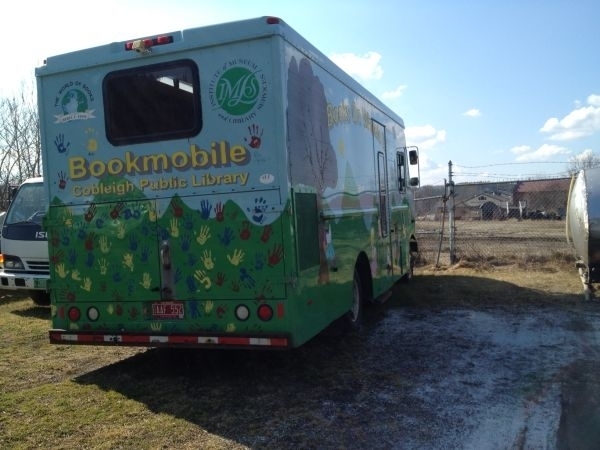 In March, VPR reported that a bookmobile in Lyndonville was so old and broken down that it would be retired. This was a story that also got play on NPR. And that’s where Julia Krapf heard the news. "And it really did touch me," Krapf said, "the thought of the bookmobile perhaps being on its last legs was very touching." Like many people, Krapf hoped something could be done for readers in the Northeast Kingdom. But unlike most, she could do something about it. Krapf is the granddaughter of the late Sir Edwin Manton, who served for many years as president and chair of the insurance giant, AIG. The Manton Family Foundation makes unsolicited grants in the arts, education, and health throughout New England. So Krapf and her fellow foundation trustees decided to replace the bookmobile. The foundation offered $150,000 for the purchase and to fill it up with gas. "I was amazed. Just simply amazed," said Cindy Karasinski is the librarian at the Cobleigh Library. Karasinski says she’s heard criticisms that a gas-guzzling bookmobile isn’t necessary in an iPad age. But she says there’s not substitute for human contact for readers who may be too young-or too old-to make frequent visits to the library. "Really what it brings is that excitement for stories," Karasinski said. "And that excitement for stories leads kids to want to read." It could take a year for a new bookmobile to get rolling. But Karasinski and others in the Northeast Kingdom say it will be worth the wait.